Retail $21.99 SAVE 20% ! Quick and easy to assemble using nails or wood glue. 14 pre-cut and pre-sanded natural wood pieces. 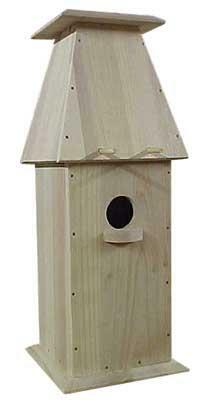 Hang finished bird house from a tree or mount to a post.